Visit any bar in Kentucky and you're likely to see at least one patron downing a shot of bourbon or enjoying this whiskey in a cocktail such as a Manhattan. 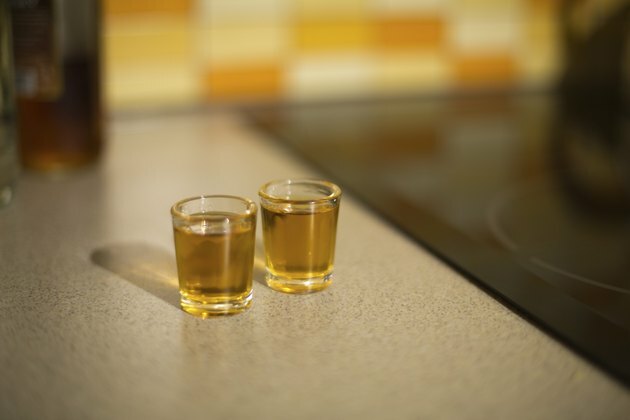 This corn-based alcohol shares close associations with the Bluegrass State, although bourbon is easy to find in stores and bars across the country. A shot of bourbon might go down quickly, but keep in mind that you're consuming a significant number of calories. Each shot of bourbon that you enjoy increases your caloric intake for the day by nearly 100 calories. Bourbon, like other 80-proof spirits, contains an average of 97 calories per 1.5-ounce shot, according to the National Institute of Alcohol Abuse and Alcoholism. Other spirits, including gin, vodka, tequila and rum, provide roughly the same number of calories.